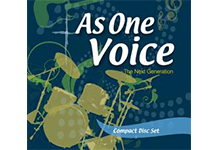 "Psalms for All Time, particularly the responses, can be sung after only one or perhaps two rehearsals. The melodies are rich, contemporary, simple and beautiful - always appropriate in style to the text." "(Mass of Glory and Praise) has a ‘rock’ feel featuring an interplay of vocal and instrumental parts." "The music has energy, driven by the use of syncopation and instrumental interplay." "Mass Shalom is one of the three singable masses of the six suggested by the Australian Bishops and if we do that then we will be singing all of them – Glory and Praise, Mass of St Francis and Shalom." 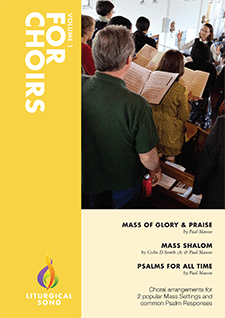 "Of the six recommended mass settings from the Australian Bishops (Mass of Glory and Praise) stands out as being suitable for regular parishes with ordinary musicians and also being interesting."